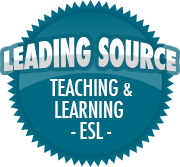 New Beginnings | So, You Think You Can Teach ESL? This week I began my training at a kindergarten-elementary English academy in Seoul. I won’t give the name for contract reasons, but I have already fallen in love with the kids! I’ve only observed today and will do the same tomorrow. I begins first day of actual teaching on Thursday. I’m excited to start this new adventure! So glad you posted this. I will be starting at a new school in August after spending my entire career in one school. Exciting, yes, but also anxiety-producing! Good luck. Keep us updated about how it’s going! Thanks! I’m glad it could help you, too. Thanks! I’ve finished my observation and training. I begin actually teaching tomorrow.